The Monkey King: 72 Transformations of the Mythical Hero collects the work of 72 artists from around the world. The result is a stunning collection of different interpretations, styles, and media. The Monkey King: 72 Transformations of the Mythical Hero collects the work of 72 artists from around the world. Each artist was given the opportunity to draw the mythical Chinese hero, the Monkey King, in his or her own unique way. The result is a stunning collection of different interpretations, styles, and media. The images collected in this book include personalized “re-creations” of the Monkey King image, fresh versions of an image of the character taken from a scene in a film, or a three-dimensional model based on the Monkey King. The artists also include step-by-step drawings and text to explain their creative process and what they gained from it, as well as their perceptions of the Monkey King. The Monkey King is a centuries-old character from Chinese literature, possessed of incredible strength and supernatural powers, and capable of 72 transformations into various animals and objects. The legend of the Monkey King is that he was born out of rock, making him extremely strong and durable. His image is also open to vast interpretation, as this book makes clear. 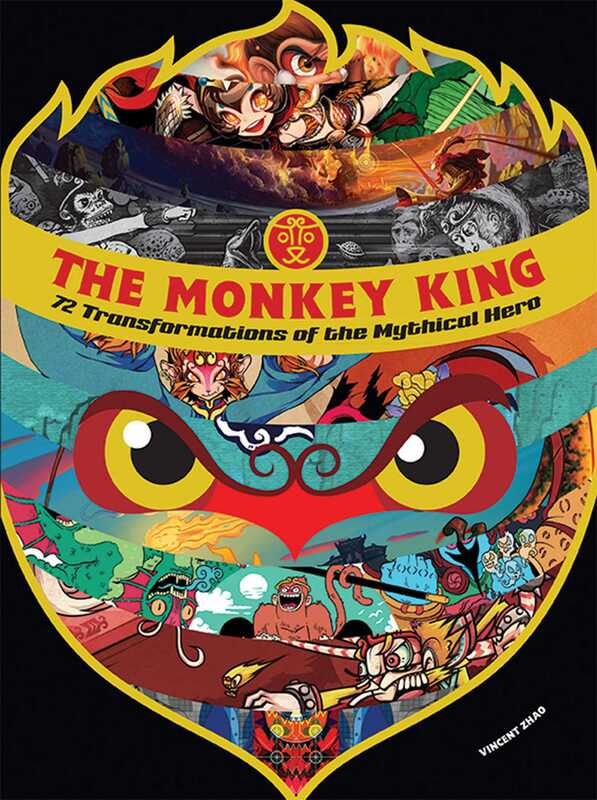 The Monkey King: 72 Transformations of the Mythical Hero will appeal to fans of fantasy art, Asian culture, and fairy tales.